It was only a week or so ago that people (here) were discussing (again) how magic is streamed poorly into worlds as we know them. As in, the point of divergence with our science-laden world *seems* simple, but, plausibly, the effect would ripple much further than the author bothers to consider. 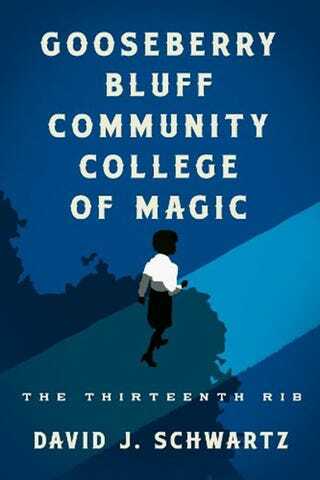 So I'd like your opinions, Deckers, if you have them, on Gooseberry Bluff Community College of Magic: The Thirteenth Rib. Full disclosure—this is written by a friend of mine, so if this sounds like an ad for it, please forgive me. I've not read it (don't Kindle) so I can't recommend it from experience. He is a good writer, though, so he's worth considering. So—if you have taken the plunge, does he fall prey to the same narrow thinking? If you haven't, the premise is basically "there was a sooper sekret plan the Allies were working on in WWII, but it wasn't the atomic bomb". He discusses it on Scalzi's Big Idea series.